Another Home Sold by Premiere Team Real Estate – Beautiful 4 Bed, 3.5 Bath house in Belterra in Southwest Austin. Spacious floor plan features two-story entryway, high ceilings, an office/study with french doors, ceramic tile, stone fireplace, and an open 2nd floor walkway that leads to large media/game room. The open kitchen features a breakfast bar, granite counter tops, stainless steel appliances, built-in gas range, convection oven and microwave, and a walk-in pantry. The master suite features a lovely bay window, double vanity, garden tub w/separate shower, and walk-in closet. Spend the warm summer evenings in the large, private backyard that backs to the greenbelt. Another Home Sold By Premiere Team Real Estate – Hidden gem on private cul-de-sac near the Domain. Completely renovated home w/cathedral ceiling, stone fireplace, new kitchen, new baths, new windows, new hardwood floors and 2-car garage. Living room and master BR feature French doors opening to new patio and level, fenced yard. Minutes to top employers Apple, St. David’s North Medical Center and the Domain with shopping, dining and entertaining. Top Austin Schools. Another great home sold by Premiere Team Real Estate – Beautiful 4 bed/2.5 bath home in Gracywoods. Spacious family room with wood-burning fireplace, built-in bar with stubbed plumbing, slate flooring downstairs, beautiful hardwood upstairs, library with built-in shelving, large room with vaulted ceiling and loft. Large master suite features walk-in closet, garden tub, & separate walk-in shower. Granite counter tops in kitchen, with new stainless appliances, & under-mount sink. Large insulated workshop in spacious backyard. Easy access to I-35 & MoPac, close to the Domain, hiking/jogging/biking trails, and Walnut Creek Metropolitan Park. Another great home for sale in Gracywoods, Austin, Texas. Another Great Home Sold by Premiere Team Real Estate – Beautiful, remodeled 3 Bed/2 Bath home in Wells Branch. Features include vaulted ceilings, wood laminate floors, a cozy fireplace, and beautiful views from all rooms. Tall windows let lots of natural light into the open kitchen and living area. The converted garage makes an excellent game/tv/family room. Remodeled master suite features backyard access, double vanity with granite counters, walk in shower, and walk in closet w/custom shelving. New Gas Heater and New Energy Efficient AC. The beautifully landscaped backyard features a covered patio w/trellis, and the privacy fence w/partial wrought iron provides a wonderful, unobstructed view of the greenbelt. Incredible neighborhood amenities and activities, with direct access to the community pool, hike/bike trails, sports fields, picnic areas and playgrounds of Katherine Fleischer Park. Minutes from I-35, Mopac, and the Domain. Another great home for sale in Wells Branch, Austin, Texas. Another great home sold by Premiere Team Real Estate – Beautiful 3 bed/2.5 bath home in Texas Oaks. Cozy family room/dining room combo features a gas log fireplace and built-in shelving. Large master suite with vaulted ceiling and beam, walk-in closet, garden tub, double vanity, and amazing tiled separate walk-in shower. Kitchen has perfect sight of the backyard. Only one neighbor and a huge backyard make this house perfect for outdoor entertaining. Close to schools, Mary More Searight Park, and SouthPark Meadows retail & restaurants. Another great home for sale in Texas Oaks, Austin, Texas. Great starter home / Retirement / investment property. Single story, 4-side brick home, cul-de-sac. Open & Split Floor plan: high ceilings, Kitchen w/ island opens to Family RM, fireplace & back patio, Dining RM/REC RM, Expansive Attic for storage, walking distance to trails & park. Seller is negotiable on cosmetic & minor repairs: home needs some TLC, backyard entrance gate, landscape needs clean up, paint, flooring. Another great home for sale in Round Rock, Texas. Charming home nestled in the highly sought after Village of Anderson Mill & feeds to exemplary Westwood High School. This single story home features 3 bedrooms & 2 bathrooms. Spacious floorplan, expansive living room w/ stone fireplace open to dining area. Huge master bedroom features a large walk in closet. Private backyard, with patio perfect for entertaining. Enjoy living close to entertainment, shopping, & dining. Another Home Sold by Premiere Team Real Estate – Fresh carpet and paint (inside and out) with exceptional attention to detail. Large home with many possibilities. 3 beds, 2 full baths up with a game room. Sinks in Master Bath and garbage disposal recently replaced. Full bed and bath down for mother-in law, guest, or office. Large bedrooms and walk in closets for storage needs. Easy access to 71 from main entrance or HWY 304. Great community amenities. Recent tile floors in the bathrooms, recent flooring in the kitchen. Large master with his & her walk in closets. Large fenced back yard with patio. Another Great Home Sold by Premiere Team Real Estate – Wells Branch home within walking distance to beautiful Katherine Fleischer Park, Hike/Bike Trails, Playground, Two Community Pools, Tennis Court, Basketball Court, Football-Soccer-Baseball Field, Library, Community Center. Literally two minute walk from everything Wells Branch has to offer. Updated HVAC(2016), blown in insulation, large backyard, open floor plan. Home needs complete interior remodel, Sold As-Is; great opportunity to remake this home into your dream home! 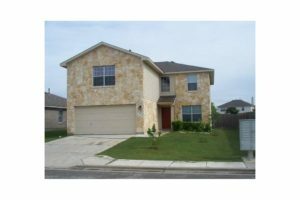 Another great home for sale in Wells Branch, Austin, Texas. Another Home Leased by Premiere Team Real Estate – Wonderful Fully Furnished home in the beautiful Scofield Farms on a corner lot! Great open floor concept and the decorating touch already applied throughout. Great master bath and hardwood floors and tile in the whole house with pleanty of room for corporate housing or a large family. Outstanding location close to shopping and Domain, toll roads, major employers, and still convenient to downtown! Another great home leased by Premiere Team Real Estate – Charming home in the heart of booming downtown east Austin near Riverside. Recent updates include new flooring, new appliances, new blinds, and more. Full size washer/dryer connections available, and fridge included! Only blocks away from schools, and minutes away from several pet-friendly parks and trails near the river. Walk or bike to many of Austin’s great restaurants, cafes, and bars. Another great home for rent in downtown east Austin, Texas.